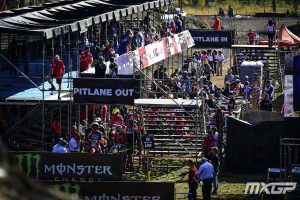 2019 MXGP/MX2: Facts, Figures, Changes, what does it all mean? 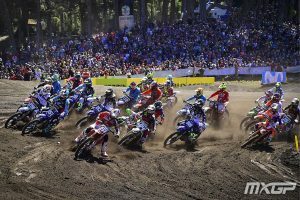 2019 FIM World MX Championship Opening Round at Pategonia, Argentina highlighted what will become the new norm- racing is challenging as ever for seasoned Riders, exciting for debut Riders, embraced by fans on other side of world and that’s without changes to Race Schedule which will add more to the mix. Break-down facts #1: injury to Monster Energy Yamaha Factory MXGP Romain Febvre after taking pole in Qualfying on Saturday is to say the least hard to take. #2: Australia’s Mitchell Evans Team Honda 114 Motorsports 3rd Overall podium gave welcomed recognition for Team Owner Livia Lancelot who had fair share of challenges in Team’s debut MXGP season 2018. #3: NZ’s Dylan Walsh had plenty to experience at debut MX2 Opener, excited at fact that GP racing is what it’s all about: managing racing, watching fans embrace Riders at their home track venue- and taking on board learning curve of MX2 class. Race Schedule changes announcement post Argentina adds more to the mix. The re-schedule of Round 5 MXGP of China in Shanghai to September 15th: Round 18, with Final 2019 FIM World MX Championship Round in Hong Kong week later, ups ante on level playing field for both classes. Why? Rounds 18 @ 19 back-to-back on tracks no GP Rider has raced, with point standings comfortably in place by racing circuits familiar with in Europe, Russia, Indonesia- can knock Riders comfort zone for 6. Take-out: change of schedule makes sense for Brands/Teams having to make travel costs x 2 to China then back again for Final Round to Hong Kong while at same time will test Rider’s adaptability level racing 2 new track venues within 5 days. All of which brings new, fresh opportunities for those Riders eager and keen come last leg of MXGP/MX2 Series to cement their place on Teams for future career contracts.